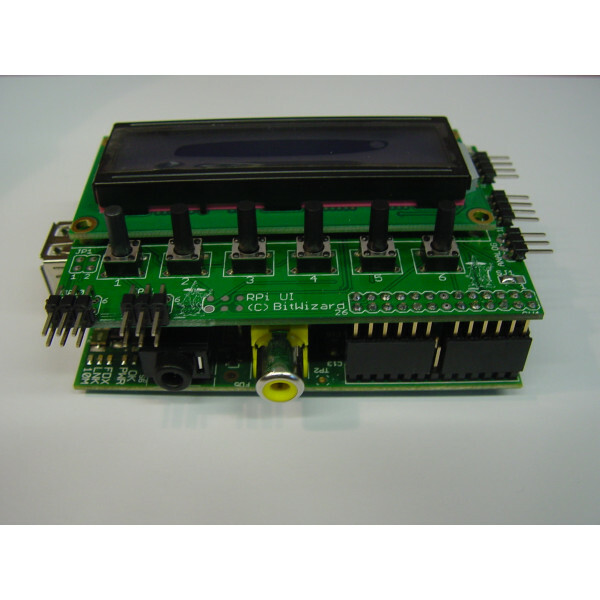 This module plugs right onto the GPIO connector of your Raspberry Pi, and provides it with a 1602 character display, 6 pushbuttons, a temperature sensor, and an analog input. 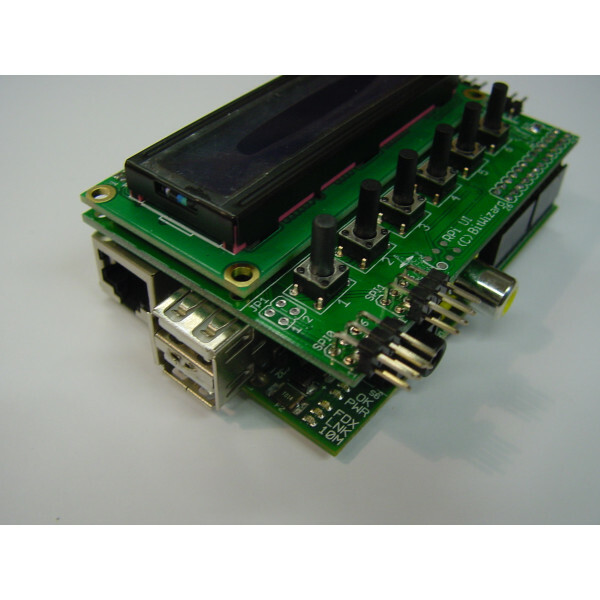 A version with a built-in real-time clock is also available, so that your Pi always knows the exact time, internet acces or not. 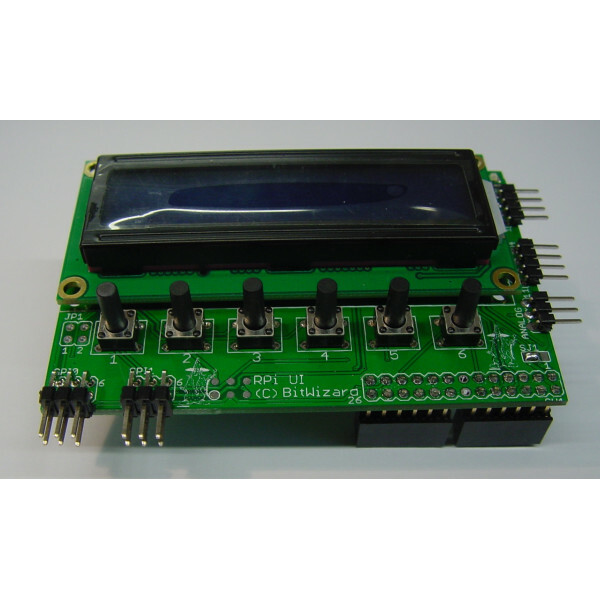 The LCD, buttons, temperature sensor, analog input, and RTC can be accessed over a SPI or I2C interface. 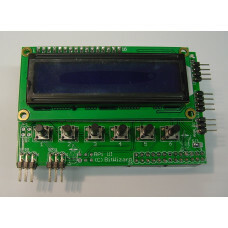 This board also breaks out the two SPI busses, I2C bus, and UART, so connecting more of our expansion boards is still an option. If you order the board with a RTC mounted, it will come including the required CD2032 coin cell. The RTC is always I2C because that is easier with Linux device drivers. 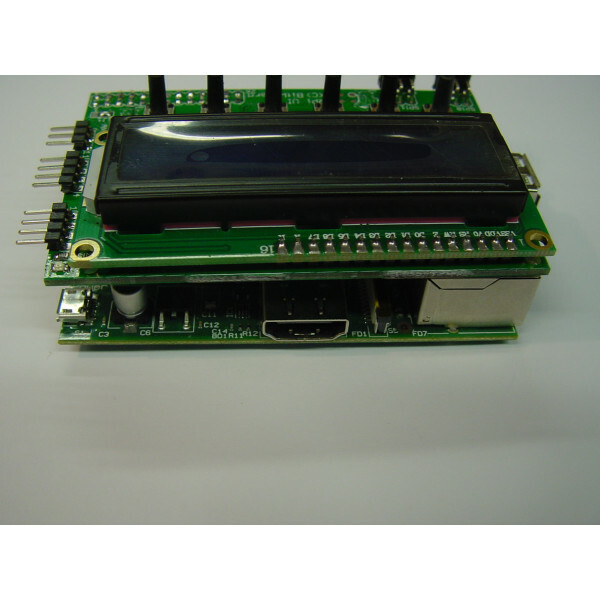 This case is designed to house a Raspberry Pi and a Raspberry Pi user interface with 16x2 LCD. The case is made out of lasercut clear 3mm acrylic. ..